NUMBER 100: As the recipient of my 100th Extended Comment, Mrs. Yollis and class will be receiving a copy of “Wombat’s Secret” book, Bruce the Wombat, a Potoroo Palace souvenir (where I take many animal photos) and postcards of New Zealand including Mt. Cook mentioned in this post. When looking at your map of Asia, the continent closest to Australia, it made me think of the long history of the various cultures of Asia, the diverse landscapes, and the interesting people who have added so much to our world. I know my family can trace some of my ancestors back to Asia as would be true for so many of us. Looking at the map, it also made me consider what has often been called the Indian Subcontinent. Perhaps some of you have heard of continental drift? It’s where the surface of the world is really a series of “plates” floating on the magma (lava) layers below the surface. Scientists call the plates, tectonic plates. India is on a separate plate to much of Asia, as is much of what many call the Middle East. Over many millions of years what was thought to be one large mass of land has broken up with sections drifting away. Some call that ancient land mass Pangaea. Here is a Wikimedia Commons graphic of Pangaea showing the positions of where today's tectonic plates might have been. This is a Wikimedia Commons graphic. For more information about Pangaea, here is the Wikipedia link. According to Wikipedia, Pangaea started breaking up about 200 million years ago. At that time, what was to become India was closer to Africa, Antarctica and Australia. India’s plate broke away and headed north eventually running into the Eurasian plate where we see it today. It’s this very slow collision of the plates that caused the great mountains of the Himalayas to rise, including Mount Everest. I have read the Himalayas are still rising at about 15mm (0.6 inches) a year. It may not sound like much but, over 10,000 years, that would be 150,000 mm or 15,000cm or 150m (that is about 6000 inches or 500 feet). Don’t you love the numbers involved? A small amount can, given time, become a big amount. If you look at the following picture from Wikipedia, you can see the positions of the modern tectonic plates. You will see you’re on the North American plate and it is pushing along the Pacific plate. You would all know one of the places where this is happening. Have any of you seen the San Andreas Fault? Looking at some of your buddy classes in “Our World, Our Numbers” you can see Canada is also along the same plate border with you. Your New Zealand buddies are also on a border but their border is between the Australian and Pacific plates. Your Australian and United Kingdom buddies aren’t on the border of their plates. Here are two videos showing information about plate tectonics. The first link is to an easy to understand animation. This embedded You Tube clip is not my video. Posted in Environment & Weather, Geography, Geology, New Zealand, Our World, Its Nations and Continents, Volcanoes & Earthquakes and tagged Tectonic Plates on March 8, 2013 by rossmannell. We enjoyed your magnificent videos and post! Nate: Before I watched the easy video, I thought that when the plate collided together, it connected them. It does connect them, but it can also cause earthquakes or build a mountain range. Daniel: I never knew that the continents used to be connected in a giant island! What’s your favorite continent that’s not Australia? What is my favourite continent apart from Australia? I suppose I would choose Antarctica because it is so different to the other continents. It was once covered by forests when it was warmer but continental drift carried it into the south polar regions. Much plant and animal life died out leaving only fossil remains with only a hint of what was in some of the ancient forests of New Zealand and southern Australia. While there are people living down there, they don’t stay. They tend to be scientists. Of course there are the species of penguins you find but I don’t have to go too far to see some. There is a small colony of little penguins not all that far from my town. You also find seals and whales visiting the shores. Can you imagine the amazing photos I could take down there? We love your post! It is interesting that mountains are formed by plates hitting together. I think it is very cool that you have a blog where you extend comments. We learned a lot. For example, we learned that one of the safest places to go during an earthquake is outside, with no trees. One of our classmates, Parsa, told us that he left a comment on your blog once! Mrs. Yollis says that you live in New South Wales, Australia. Peter was wondering if you have ever visited the Sidney Opera House? That seems like a famous landmark. Do you know that Mrs. Yollis said you are one of the kindest men on the Internet. We agree! You help classes all over the world get comments. You also teach us new words that help build our vocabulary. On Edublogs there is a post called the Pancake Rocks. Is that possible to climb? I have been to the Sydney Opera House. I have photos taken when it was being built and I think somewhere I might have photos taken when Queen Elizabeth II opened it in 1973. There are photos of one of my classes when they visited the Opera House. Each year, schools from around my state send talented students there to perform. We were surprised that the Himalayas were formed by uplifts. We were stunned to learn that our amazing world used to be one huge island. Is Pangaea an island or a vast continent? We never knew there was a core deep inside the Earth. But we knew there was lava in the Earth. Isn’t that the lava that spouts out of volcanoes? I challenge you to find how the Earth began. If you find out, please reply to us. We tend to class continents by size. Australia is said to be both the world’s largest island and smallest continent. This would mean anything larger than Australia is a continent so Pangaea would be a super-continent because it contained all of the continents we know today. Mt. Cook received its name from Captain James Cook, the first European we know to have sailed around and mapped New Zealand. He wasn’t the first person to find New Zealand as the Maori people were in New Zealand long before the coming of Cook. Did you know Maoris call New Zealand, Aotearoa, and Mt. 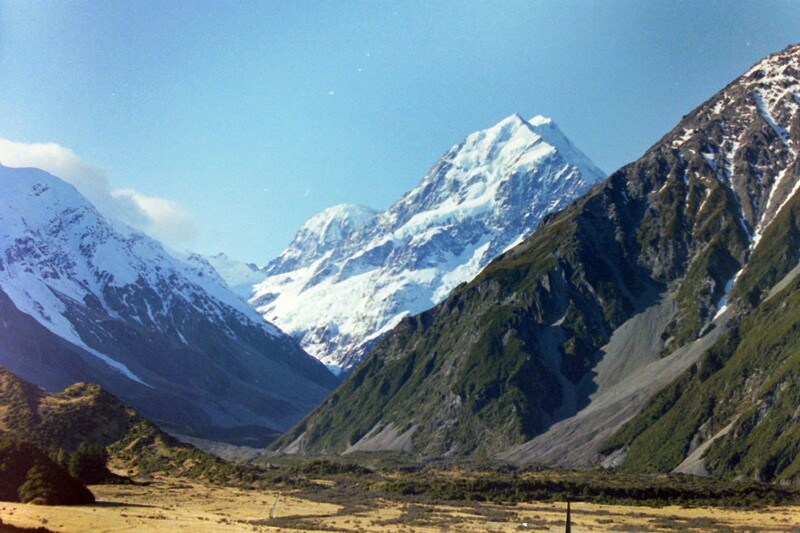 Cook, Aoraki? I have always enjoyed visiting and meeting the Maori people and have had Maori students in my classes in Australia. Maoris have a fascinating history and culture. They, like the people of Hawaii, are a Polynesian culture. Imagine a culture that was capable of colonising islands as far north as Hawaii, east as Easter Island and west as New Zealand. Aotearoa is translated as “the land of the long white cloud”. Wow! You must be super busy! Please tell us when the post about how Earth began is published! We are RUMBLING with excitement to know how Earth began. World Book Online Contact Mrs. Yollis for the password if you’d like. What do you use to search up facts? Can you give us a hyperlink? Do you like World Book Online? I will be sure to let you know when your post is ready. The first thing I use when writing an extended comment post is my memory. Something someone has written starts me remembering information about the topic. I then check on line, often with Wikipedia, to try to be sure what I write is correct or to add extra information. I would try to teach my class being intelligent doesn’t mean knowing all the facts. It means knowing how to find the information you need then knowing how to put the information to use. Before we had Wikipedia, I did use encyclopedia books and DVD based encyclopedias but on line searching is much more efficient if you know important key words when searching. When your post is ready, you’ll find it will include links to things I think will be useful. As I have been to New Zealand an number of times and had an interest in geology, I remembered information I had heard. The fault line between the Pacific and Australian tectonic plates runs along the coast of New Zealand’s South Island. When you are on the west coast, you are on the Australian plate, when you are on the other side of the mountains, you are on the Pacific plate. I have a sample of rock from the west coast. It is mica schist. Schist is known as a metamorphic rock. This means the original rock has been changed under heat and/or pressure. The rock would have been changed deep down but pushing against the Pacific Plate brought it to the surface. Much of the rock you see in the picture of Franz Joseph Glacier would be schist. The glacier flows down the mountains to the west coast. Here is a new extended comment for you. I hope I have met the challenge. Hello! My name is Aashi, and I am a 2nd grader from Mrs. Yollis’ 2/3 class. Thank you for leaving us such a wonderful post! I saw that Heather and Keira challenged you about how the world began and you made a post for them! I have a small question too. How did people (other than the Aboriginal people) know about Australia? The first people we know to have come to Australia were the ancestors of the Aboriginal (native Australian) people. They arrived up to around 60,000 years ago. Back then the sea levels were lower because there was more ice at the poles. You could walk from New Guinea all the way down to Tasmania. This allowed the first people to travel from Asia across the islands and eventually here. These days the Torres Strait in the north and Bass Strait in the south separate New Guinea and Tasmania from mainland Australia. Can you imagine back then people looking for better hunting and fishing places? Families or larger groups spread out across the world. If I remember correctly, the native Americans reached North America in more than one migration, the last being about 12,000 years ago. They would have travelled from Europe and Asia across the Bering Strait and into Alaska when sea levels were again low. How did people know about Australia? I think the first people to arrive here were looking for new lands and stumbled upon Australia. Back then Australia was a very different place covered in forests and lakes whereas today much of Australia is arid (desert) and semi-arid. The first Europeans to visit Australia came in the 1600s. They were sailors who came to Australia’s west coast. The east coast where I live didn’t have its first known European visitors until the arrival of Captain James Cook in 1770.